Your order will ship MONDAY if placed in the next 3 hours 3 minutes . Enter your shipping address zip code to receive an instant delivery date estimate from UPS. Remington HyperSonic 12 Gauge Ammo 3" 1-1/8 oz #2 Non-Toxic Steel Shot ammo for sale online at cheap discount prices with free shipping available on bulk 12 Gauge ammunition only at our online store TargetSportsUSA.com. 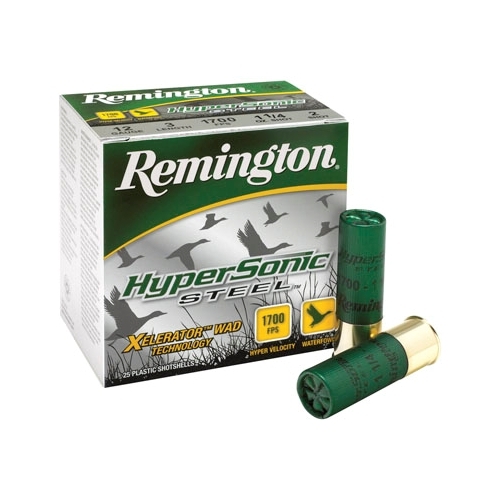 Target Sports USA carries the entire line of Remington ammunition for sale online with free shipping on bulk ammo including this Remington HyperSonic 12 Gauge Ammo 3" 1-1/8 oz #2 Non-Toxic Steel Shot. Remington HyperSonic 12 Gauge Ammo 3" 1-1/8 oz #2 Non-Toxic Steel Shot ammo review offers the following information; Remington HyperSonic 12 Gauge ammo feature 3" 1-1/8 oz #2 Non-Toxic Steel Shot bullets. Remington Ammunition presents the shooter with an extensive variety of premium bullet developed to combine with the strict manufacturing tolerances to create ammo with which any shooter would be willing to take the perfect shot. The Remington HyperSonic line of ammo was crafted for the hunting of waterfowl with the Xelerator wad feature of the bullets. The Xelerator wad allows for higher velocities while maintaining a safe pressure. In two different stages, the primer ignites a small powder charge then its primary powder charge to release the non-toxic steel pellets. 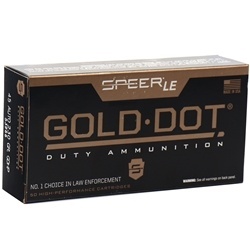 Traveling at a high velocity, these pellets increase your chances of hitting your target the first time. With a muzzle velocity of 1700 feet per second making the Remington HyperSonic 12 Gauge an outstanding choice for small, medium, and large duck and geese hunting ammo. Remington HyperSonic 12 Gauge ammo is new production, non corrosive, reloadable, and features brass casing and Boxer primers.